Nicholas graduated with honors from Indiana University in 1998 with a Bachelor of Science degree in Business with a concentration in accounting. He is a member of Beta Gamma Sigma. He passed the CPA exam on his first attempt and later obtained his Series 6 and Series 63 license in investing. In 2005 he became an accredited taxpayer representative by the American Academy of Tax Practice. He is a veteran of the United States Army and proudly served in Gulf War. Nick and the mother of his children Janice have three boys aging from 13 to 20. Their favorite activities include watching their children’s sporting events, working on their home and spending time with their extended family and friends. 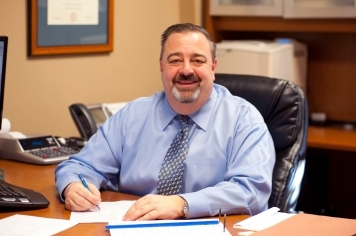 Nick’s expertise lies in working with clients in helping to establish their business with solid financial and tax advice and establishing strategies and procedures that will help their businesses grow into the dream they envision. He is also a very accomplished taxpayer representative with the IRS and various state agencies. He has represented hundreds of taxpayers in various stages of examinations, collections and appeals.